Love the little loafers. Such a cute autumnal look! Pretty necklaces, and I love the loafers too! Ohh really pretty outfit...those loafers and that blouse are great! I love these kind of outfits for work. Still smart but fairly laid back! Im currently on the hunt for some decent slim leg trousers! Not having much luck at the moment! Ooo I love a comfy look. I also managed to hunt those brogues down after only finding tiny little size 3s for so long (I've got big banana feet 7s). 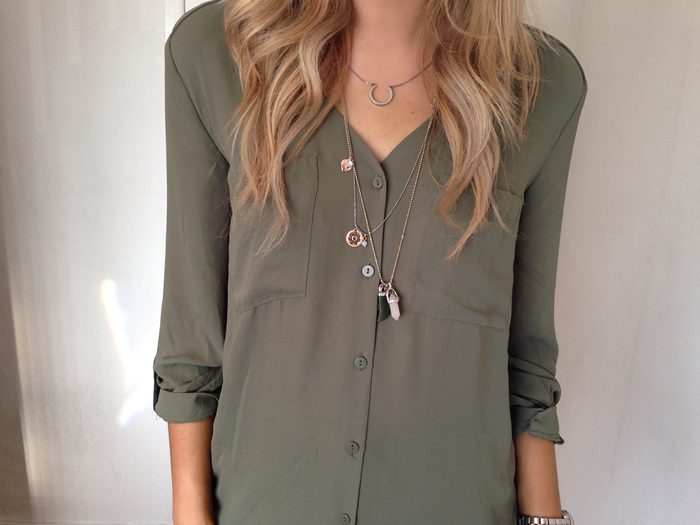 Love the blouse! I'm a big fan of khaki!! Casual outfits are great! Good outfits don't always have to be complicated! Love this simple outfit. Your loafers are beautiful!